Brooklyn Moving Services, Piano Movers, Residential movers, Commercial movers. Choose a family-run removals company you can trust. 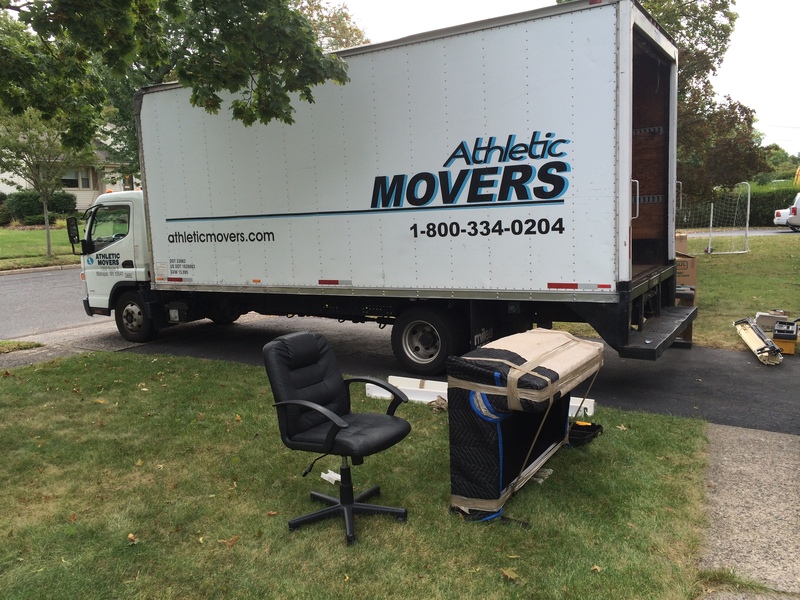 I contacted a number of moving companies for an estimate and received the moving cost estimate from AthleticMovers within an hour. The pricing was fair so I decided to go with them and I am very glad that I did. They happily worked with my time frame and budget, and all 3 movers worked really hard. They had to move large heavy boxes and all of my furniture, from two separate locations in to my new 4th floor walk up apartment and they were super fast, careful, friendly and polite. I highly recommend them, and I will definitely go with them next time. This is the fifth time I've used these guys, both for business and for personal moves. Rudy is no nonsense and very fair with pricing. Russell is a pro at keeping the team moving. Two times they were able to move/walk a grand piano without incident on six flights of stairs so obviously they know what they're doing. They were always on time and careful with my possessions. Make mention of something with greater importance and they will treat it as such. I don't know what else to say except I'm keeping their card on file and recommend them to friends without hesitation. Thanks! Pros were: - Perfectly on time, waiting at my truck, ready to go before I walked out. - Let you sign the time on the forms to make sure you can track it yourself. - They told me to stop trying to move stuff because they wanted to do it themselves. - Very kind demeanor and professional.